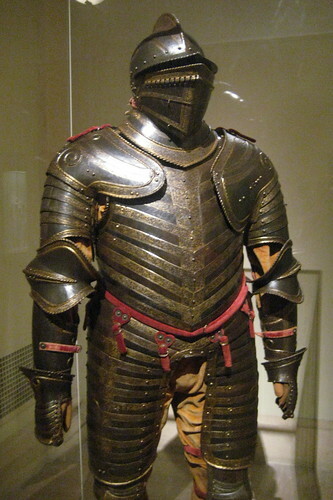 NYC - Metropolitan Museum of Art - Field Armor of King Henry VIII of England, a photo by wallyg on Flickr. Saw this today. I sometimes marvel at how we still have some written records of what people remember the Buddha to have said. I'm lucky to live in a time when the Buddha's teachings are alive. And then you see something like this, and you realize some amazing things exist from our past. Did I go on a tangent?